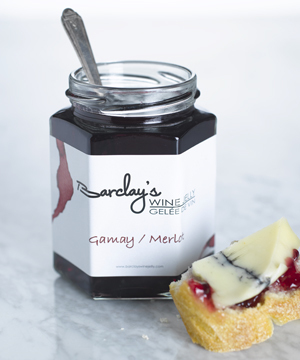 A great place to buy cheese to along with your Barclays wine jelly is Chris’s cheese mongers in the St Lawrence market. Chris’ Cheesemongers stocks an extensive selection of domestic and imported cheese. We specialize in farmhouse cheese from Quebec and Europe. We also carry a countless number of other Canadian and international cheese. Be sure to stop by regularly as we are constantly adding new and exciting cheese to our enormous collection. Our friendly and knowledgeable staff will make shopping here simply a joy. The high standards that we uphold for our products and service are unsurpassed in the industry. Customer service is of utmost importance to us. A member of our staff will be happily assisting you in finding just what you are looking for.